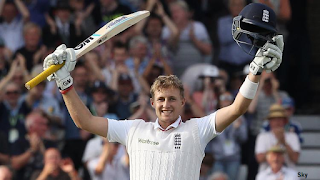 Sky Sports has secured the rights to England’s 2016 tour of Bangladesh, increasing its cricket portfolio following increased competition from BT Sport, who recently took the rights to the next Ashes in Australia. The deal for two Tests and three One-Day Internationals means that all of England’s matches for the next two years will be exclusively live on Sky Sports, following the recent agreement to show England’s tour against Pakistan in the UAE next month. Sky Sports viewers can enjoy over 50 England Tests and more than 360 days of scheduled live England cricket over the next five years, as well as every ICC competition until 2023. The upcoming England schedule features a winter tour to South Africa, the ICC World Twenty20 in India, and two home series against Sri Lanka and Pakistan. England’s Bangladesh tour is immediately followed by a five Test series in India, and England host the West Indies and South Africa in 2017, as well as the ICC Champions Trophy. Meanwhile, both BT Sport and Sky will share coverage of the Scottish Premier League until 2020. Both broadcasters will be able to show 30 games from the league each season as part of a new rights deal which covers the 2017/18 season through to the 2019/20 season. BT Sport will also show the play-offs to the SPL from 2017 as part of the deal.